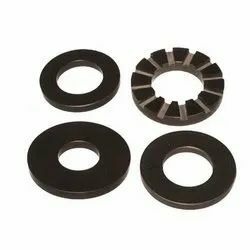 We are an esteemed organization engaged in providing an extensive range of quality Carbon Thrust Bearing manufactured with high quality materials with assurance of high reliability, stability, strength and long lasting features which we have in extensive demand in the market. We are well known in the market for our quality products in affordable prices and on time deliveries. 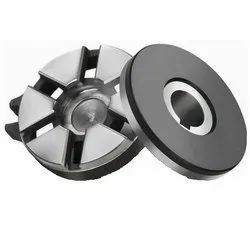 We are an esteemed organization engaged in providing an extensive range of quality Thrust Bearing Plate manufactured with high quality materials with assurance of high reliability, stability, strength and long lasting features which we have in extensive demand in the market. We are well known in the market for our quality products in affordable prices and on time deliveries. 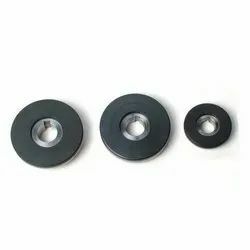 We are one of leading manufacturers, suppliers and exporters of Carbon Thrust Pads in market, fulfilling varied requirements of our customers. Our comprehensive quality check methods ensures us to provide best quality furnaces to our clients. We offer them in multiple sizes and design in accordance with needs of customers. Our products are highly demanded in the market for their accurate dimensions and durability. We are backed by our large infrastructure facility, which allow us to manufacture a quality range of Carbon Thrust Bearing designed and facilitated by our high quality and reliable engineers and other skilled and unskilled workforce. Products manufactured by us are highly efficient made with best quality materials compiled to work suitably and smoothly with trouble free operation.